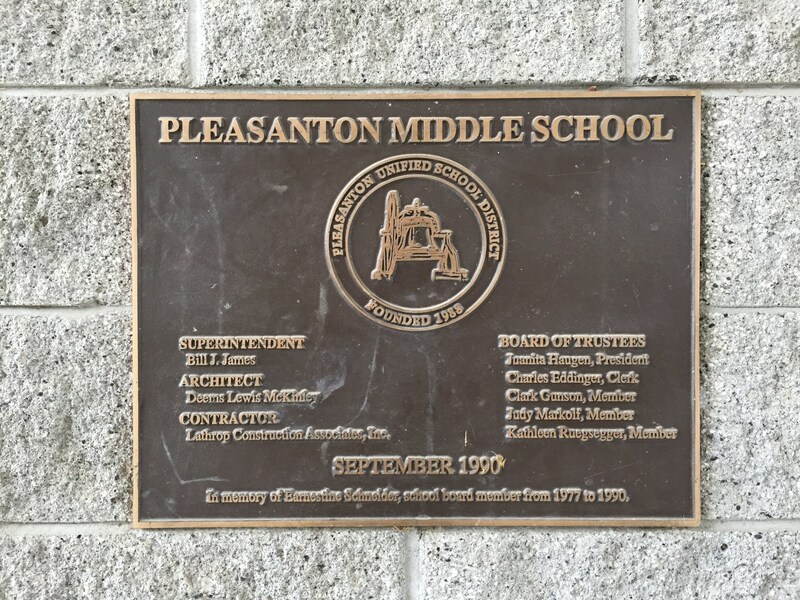 Pleasanton Middle School is located in the town of Pleasanton, California in Alameda County, incorporated in 1894. Before the establishment of Pleasanton in the 1850s, an earlier settlement, called Alisal was there. It was located on the lands of the Rancho Santa Rita near the site of an Indian ranchera, called El Alisal. Alisal, nicknamed "The Most Desperate Town in the West", was one of the settlements located along La Vereda del Monte that was a haunt and refuge of bandits and desperados in the era following the beginning of the California Gold Rush. Main Street shootouts were not uncommon. Pleasanton is a suburb in the San Francisco Bay Area located about 25 miles (40 km) east of Oakland, and 6 miles (9.7 km) west of Livermore. The population was 70,285 at the 2010 census. Pleasanton was ranked number 4 by USA Today in its 2014 "America's 50 best cities to live in" listing, number 63 in Money's list of "The Best Places to Live" in 2010, and was named one of "Americans' Top Hometown Spots" in the United States in 2009 by Forbes. At the core of our mission is the student as an individual. 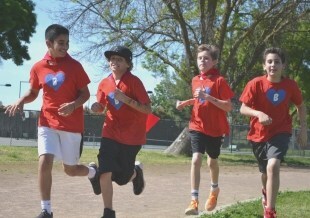 We are committed to the academic, physical, and emotional well being of every young person who is entrusted to our care. Toward that end our school operates within a cohesive and integrated network of academic programs, co-curricular activities, and support services. This network is further supported by our Character Education program, a program designed to ensure that no child at our school feels alienated or bullied and that every child makes a meaningful connection with peers and adults on campus. As part of the program teachers incorporate into their classes such life skill concepts as responsibility, respect, integrity and compassion, sharing a common language that everyone in the school community understands. Academic programs are rich, challenging, and aligned with California State standards. As a result we have observed a continuous upward trend of our SAT-9 nationally norm-referenced assessment results, and last year our state Academic Performance Index (API) score of 852 represented a 32-point increase, placing us well above the state wide target of 800 for all schools. There is something at Pleasanton Middle to pique an interest or passion for learning in every student—the rock band recording sessions before school organized by two staff members who are also professional musicians; the journalism class whose young journalists build human interest stories on the computer to be shown on our school’s closed-circuit television, PMTV; the language arts classes connecting their study of China with a cultural walking tour of San Francisco’s Chinatown; the workshop on ancient Asian art and artifacts led by a docent from the Asian Art Museum in Oakland. 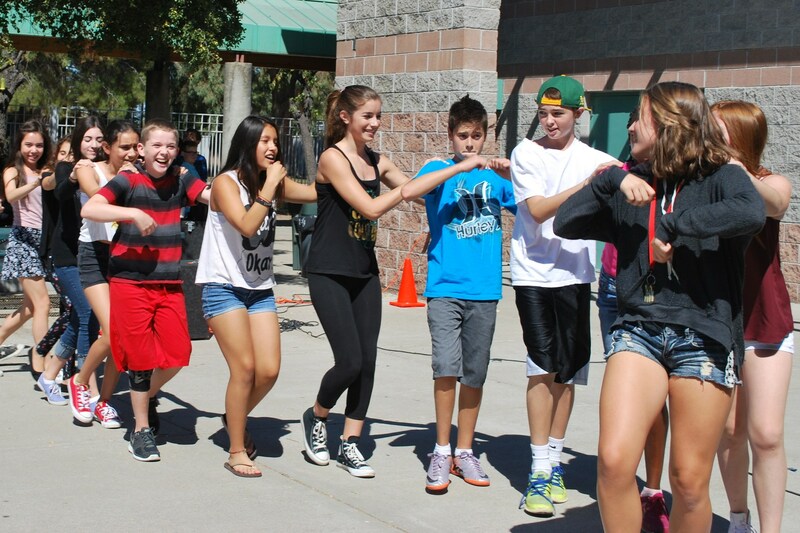 These are only a sampling of the rich activities that may fill students’ days at Pleasanton Middle School. We understand that in addition to a rigorous curriculum, it is important that our students feel connected to their school in a way that supports social development—that extends learning beyond the classroom. Therefore, students are offered a rich selection of co-curricular activities from which to choose. A few of these choices, include visiting the game room staffed by a counselor during lunch, serving as a conflict-resolution peer mediator, playing on the school basketball team, participating in the Comic-Con Club, or volunteering as a Welcome EveryBody (WEB) leader, help new students become acquainted with their school. During lunch students may also play any number of intramural sports and participate in social games arranged by Student Leadership. 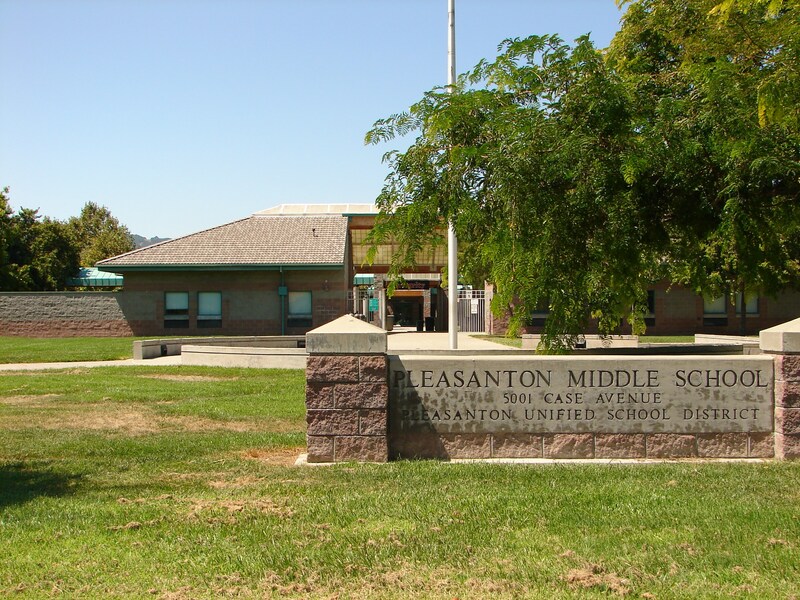 Because we believe that students who make a connection to their school are more likely to be successful both academically and socially, we at Pleasanton Middle encourage all students to participate fully in the life of their school community. The final component of the integrated network under which Pleasanton Middle operates is support services. Every student is given the support necessary to achieve excellence, whether it be the English language learner, the gifted student, the student with a disability, the student who is not working to potential, or the student somewhere in the middle. We are especially pleased with the Math Skills, Academic Assistance, and Reading Improvement classes we make available to students who struggle with our curriculum. Comprehensive counseling, tutoring, and mentoring services are also in place to meet the needs of students struggling with social and academic issues. Regular, in-depth self-evaluation and revision of our programs and practices are essential to our school’s success. In 1998-99 we participated in a Western Association of Schools and Colleges (WASC) self study, Focus on Learning, receiving the highest possible rating: a six-year accreditation. In 2000 we applied for and were recognized as a California Distinguished School for the second time. Today we continue towards self-improvement through our application for National Gold Ribbon recognition. These processes, which require on-going evaluation, action planning, and assessment, reflect our commitment to being a dynamic, action-oriented school that is willing to meet challenges. We mean to celebrate our successes and to focus on areas where we can improve learning and outcomes for each and every student. 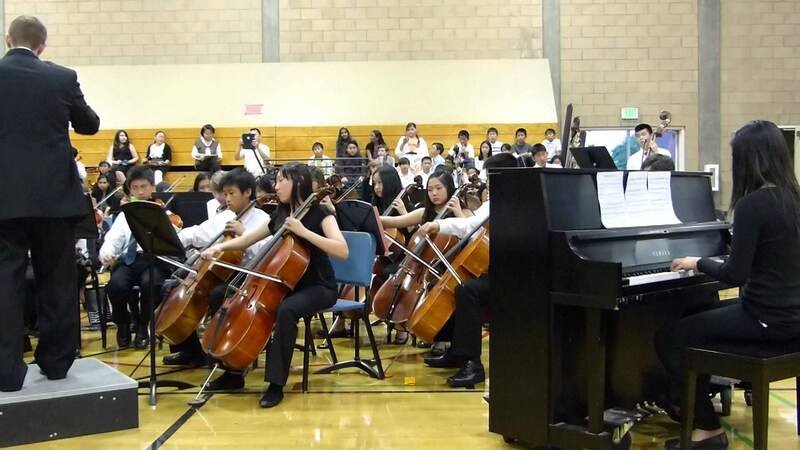 The success of Pleasanton Middle School can also be attributed to the sustained and invaluable partnerships that exist between students, parents, faculty and community. Every year the School Site Council, whose membership represents each of the aforementioned stakeholders, establishes goals, objectives and action plans for our programs. Together we develop a vision and goals that address the specific needs of our student population, visions and goals that further support the district’s five-year strategic plan. Other ties with our community include our School Site Council, Parent/Teacher/Student Association, Cultural Arts Council, Pleasanton Partnerships in Education, Tri-Valley Business Council, and the City of Pleasanton. We are Pleasanton Middle School, a community of learners--students, teachers, administration, parents, and the larger community alike.